Hair up! This design combines 3D technology with an artisal approach. Inspired by teneriffe lace Francesca's family items. The lace become the framework for a moder reintertretation of this antique technique . 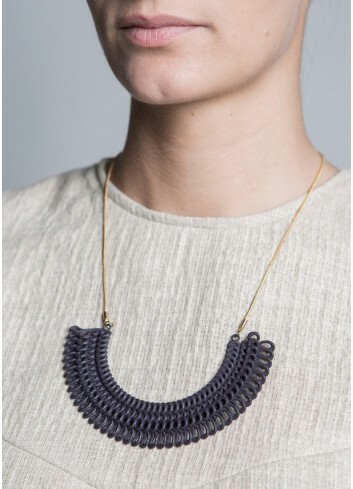 Variances of colours and layering are due to the 3D printing, polishing, dyeing and finishing handmade process. 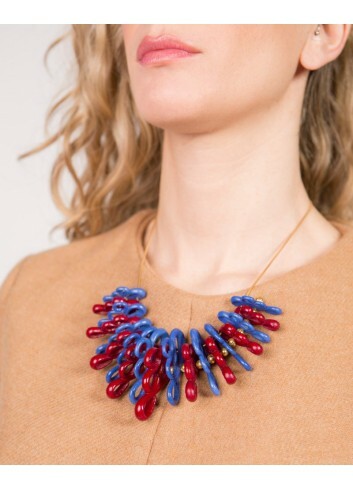 Necklace in Polyamide 3D printed and hand dyed. This design combines 3D technology with an artisan approach. Inspired by ancient memories and far-away cultures. 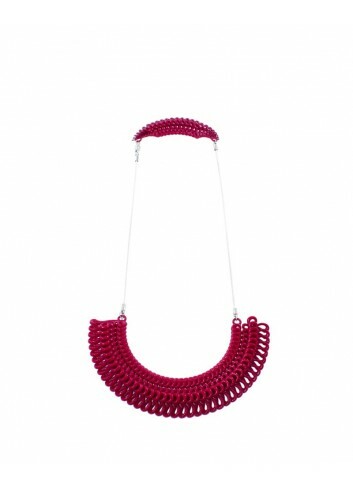 Variances of colours and layering are due to the 3D printing, polishing, dyeing and finishing handmade process. 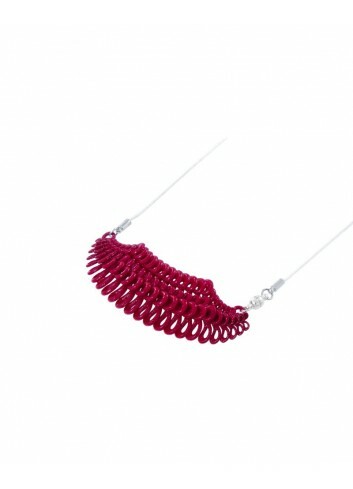 The material used is flexible and lightweight. We had fun making it, have fun wearing it! 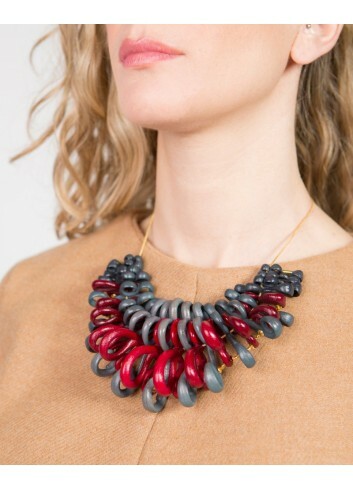 Degradè necklace 3D printed and hand dyed. 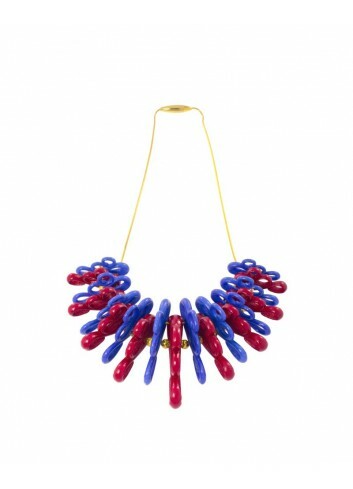 Gerbera necklace with its dynamic shapes is one of Paolin statement piece. It's a duo colour design that fade from a darker tone to a lighter one in the middle part. 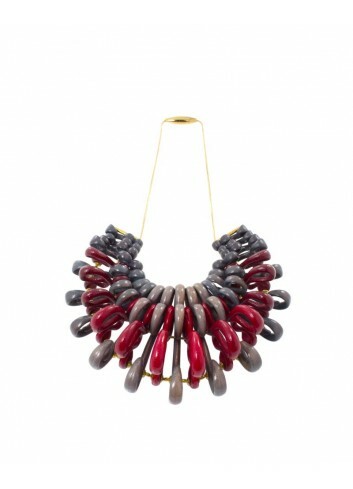 The base elements are in GreyGreen colour and the standing out accent elements in red. All the metal parts are in gold-tone brass. The design combines 3D technology with an artisanal approach. Hair UP! This design combines 3D technology with an artisal approach. Inspired by teneriffe lace Francesca's family items.